"The Oddest Couple Ever Unleashed!" Police officer Scott Turner is ending his police work in this small city when this movie begins. He is around 72 hours from moving to a bigger city where he can fight real criminals instead of the petty misdemeanor offenders in his current location. All of these plans change when a man named Amos Reed is murdered and Officer Scott Turner decides to take the case. Amos Reed is also the owner of a huge, drooling dog named Hooch. Once Amos is killed, Hooch is going to be put down at the local animal pound unless someone takes care of him. This task is taken on by Scott Turner, who sees Hooch as a big help in solving the case of his owner's murder because Hooch is the closest thing that Turner has to an eyewitness. 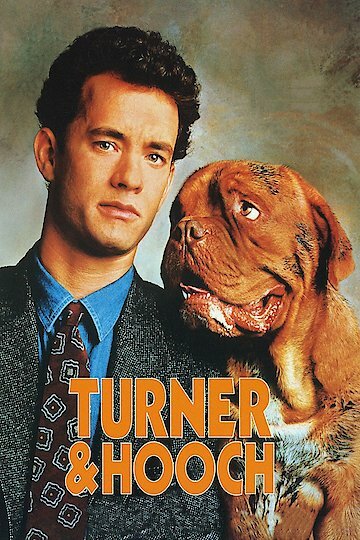 Turner & Hooch is currently available to watch and stream, buy on demand at Amazon, Vudu, Google Play, iTunes, YouTube VOD online.